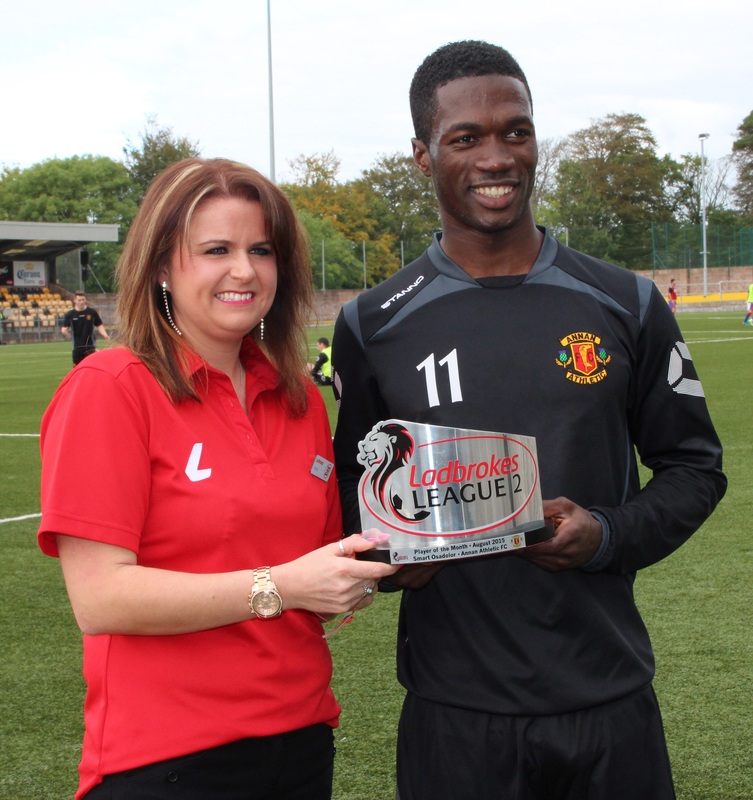 Annan Athletic forward Smart Osadolor has won the first Ladbrokes sponsored player of the month award for League 2. Smart has become an instant hit with the Galabank faithful since signing in the summer. He has already scored 6 goals for the Black and Golds, and looks hungry for plenty more in the games to come. Smart is pictured accepting his award at Galabank before the match against Elgin City. Listen to his interview with Annandale TV after receiving the award by clicking here.